Patrick , as Director of Research and Ethnography leads the initial fact finding activities of all of our major engagements. Patrick directs the interview and intake process as well as the final project evaluation. Patrick also provides strategic oversight and structure to our programs. Patrick's analysis and qualitative reports tracks our program's and the structural guidance to bring our pilots to scale. 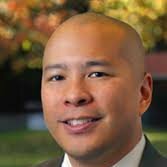 Patrick is the former Director of Research and Assessment for the Oakland Unified School District. He later moved to the Stupski Foundation where he conducted groundbreaking research with districts from across the nation. Patrick received his Doctorate from the University of California in Berkeley in the field of Educational Psychology.